If the radiators in your home are not getting hot. Plumbing fixtures are exchangeable devices that are connected to a home or building's plumbing system. Some examples of fixtures include toilets, urinals, bidets, showers, bathtubs, utility and kitchen sinks, drinking fountains, ice makers, etc. What is a Back Flow Preventer? A backflow preventer is used to protect the main water supply from contamination or pollution. 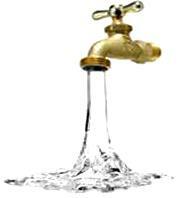 Water is normally maintained at a specific pressure to enable water to flow from the tap or shower. When water pressure drops (for example, when a water main breaks or the fire department pulls a high quantity of water from the system), the pressure in the pipe drops. This can allow contaminated water from a cross connection to be siphoned into the system. To prevent this, many cities and townships require that a mechanical backflow preventer be installed. The device is installed at the point where water is delivered to the building (next to the water meter). A typical backflow preventer has test ports and shut-off valves that must be tested each year. How can I identify a potential drain or sewer line problem? One of the first signs of a sewer problem is sewage in the basement or front yard… or garage. Often a foul smell is notice before or as the sewage backup is notice. Toilets show the most dramatic blockage because they send a sudden large discharge of water and waste into the sewer line. If the water rises to the bowl brim when you flush the toilet, there is a blockage (local or in the main line). First, you should always try aggressively plunging the toilet with a manual toilet plunger. If that doesn’t help, give us a call to help diagnose the problem. Causes of a sewer line back up are many fold including objects in the line, buildup of sewage matter in the pipe over a period of time, tree roots grown into the sewer line and other -- all prevent sewage from draining properly. Vidal Plumbing has the equipment needed to clear your line. We also use special instruments, when needed, to determine if the sewer line is broken underground. Curb traps are also known as house traps. They are used to stop sewer gas from entering the home. They also help circulate air through the plumbing system. The curb trap has a curb box (fresh air inlet) which allows air to circulate through the system. What are some other types of plumbing traps? Your home might also have has many different traps in addition to the curb trap. There are also traps in the toilet, kitchen sink, lavatory sink, bathtub, and floor drain. All of these traps prevent sewage gases from entering your home. If your home didn’t have these traps, you would experience health problems and, in severe cases, possible explosions from sewer gases. 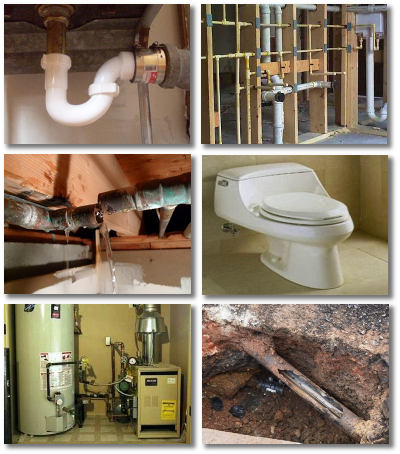 Vidal Plumbing is trained and licensed to work with all types of plumbing traps. What should I know about Drain Cleaning? Drain cleaning is not always as easy as one might think. Frequently, store purchased liquid drain cleaners prove to be very ineffective and can damage your pipes. Clogged drains develop after years and years of pouring substances down the drain. Eventually these substances stick to the sides of the drain resulting in the width of the drain becoming smaller and smaller – all leading to an eventual clogged drain. (A PayPal account is not necessary.